What can one say? I had recently returned from a trip to the South Atlantic where I photographed, among other things, lots of Albatross. I was posed the question of how animals may evolve in the future to become more ‘modern’. 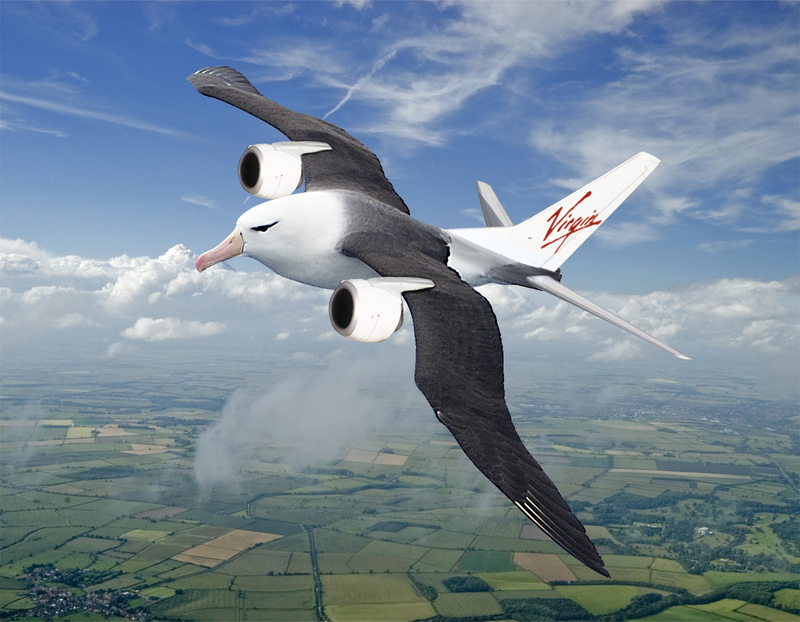 I knew that amongst the images I had shot of Albatross there was one which would fit with the same Boeing 737 image used in the Flying Car image and so was born the Jet-Powered Albatross!